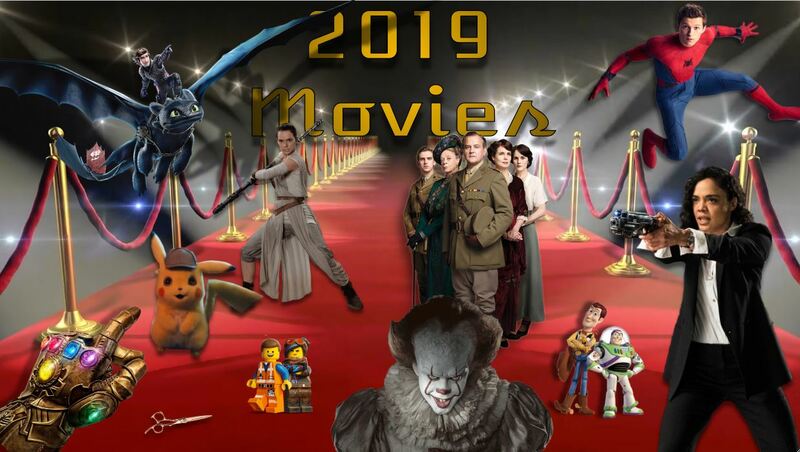 After an amazing year of movies, 2019 is coming at us with some more films sure to amaze! Browse the list for some of the most anticipated movies of the year, and click on the titles to see their trailers. Did you think the Dolly cloning was weird? From thriller director Jeffrey Nachmanoff (The Day After Tomorrow) comes Replicas. When Will Foster (Keanu Reeves) loses his family in a car accident, he is intent on using his knowledge of science to bring them back. However, he takes it too far, pushing on until he is being combated by the police, a government lab, and science itself. How far will one go for family? In an American take on the French Comedy-Drama, The Intouchables, The Upside came out early January with Kevin Hart (Jumanji) and Bryan Cranston (Breaking Bad) taking the main roles. Philip (Cranston) is a wealthy man who has paralysis in all four of his limbs. He needs a caretaker to help him with daily routines in his New York Penthouse. Dell (Hart) is an ex-con, who is trying to connect with his ex and son, easier said than done. When Dell shows up, Philip immediately knows he wants to hire him, much to the dismay of his business manager. As Philip and Dell grow on one another, they teach each other what it means to live again. In the third installation of the Unbreakable series, the plots of Unbreakable and Split collide for an action packed finale. The film returns key actors Samuel L. Jackson as Elijah Price, James McAvoy as Kevin Wendell Crumb, and Bruce Willis as David Dunn. Living together in a containment facility, Elijah Price, aka Mr. Glass, hatches a plan that will surely bust them out. However, to do this, Price has to release Kevin Crumb’s secret personality, a beast who wreaked havoc in Split. With these two on the loose, how will David Dunn play into their plan? Also be sure to catch Escape Room (Jan. 4) and A Dog’s Way Home (Jan. 11). After the success of its first movie, LEGO realized they had better cash in on the series and create a sequel. Returning voices of Chris Pratt, Will Arnett and Elizabeth Banks add to the fun. After the events of The LEGO Movie, the Bricksburg residents are shocked when they receive outer space (LEGO DUPLO) visitors who begin to wreck everything. Five years later, Bricksburg is an apocalyptic wasteland, turning everyone tough—except for our favorite minifigure, Emmet. 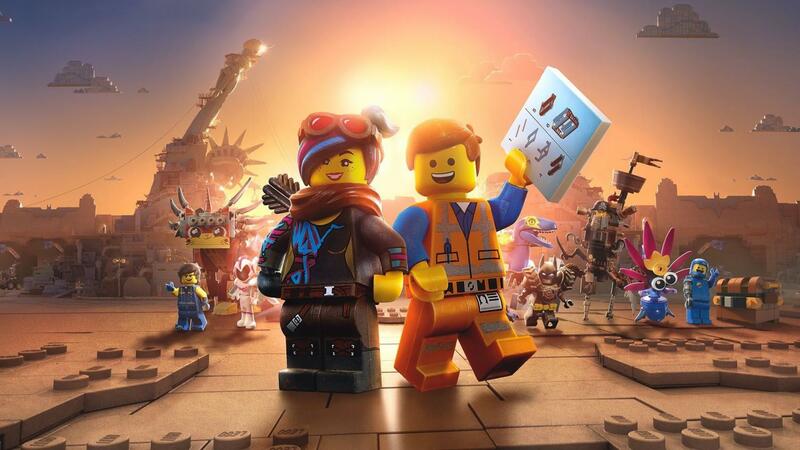 Emmet and his pals must travel across the universe to conquer the threat, and save their city. Taraji P. Henson (Hidden Figures) stars as Ali Davis in this hilarious comedy, a sports agent waiting for a well deserved promotion. Working in a male dominated force definitely has its drawbacks, as Ali sees time and time again. Without anything better to do, Ali turns to a psychic, and ultimately gains the power to hear men’s thoughts. Though initially creeped out, Ali quickly sees the benefit in her power, and begins to use her newfound ability for her benefit, rising in the ranks of her company. Let’s get ready to rumble! Dwayne “The Rock” Johnson plays himself in this family drama that take him back to his own WWE days, as the film focuses on a family who, after two siblings try out for WWE, gets ripped apart after learning that only one sibling, Paige (Florence Pugh), is chosen for the competition, while the other, Zak (Jack Lowden), got cut from the show. Deciding to stick with it, Paige must overcome physical and mental obstacles to succeed in the world of high stakes wrestling. Also be sure to catch Isn’t It Romantic (Feb. 13) and How to Train Your Dragon: The Hidden World (Feb. 22). In Marvel’s first film of the year, Brie Larson (Kong: Skull Island and Room) will headline a cast full of A-List celebrities, such as Jude Law (The Holiday) and Ben Mendelsohn (Ready Player One). The film will also return Clark Gregg as Agent Phil Coulson in his first Marvel film since The Avengers, when he was infamously stabbed in the back by Loki. 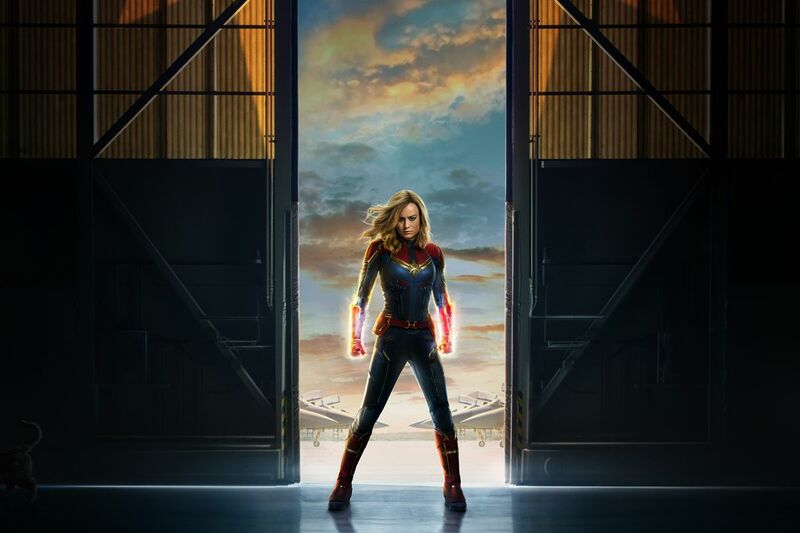 As for the plot, when Carol Danvers (Brie Larson) is found unconscious with no memory, she is rehabilitated and genetically modified by a species of aliens to create her alter ego, Captain Marvel. As her memory slowly recovers with sporadic glimpses, Danvers must access this knowledge to save the Earth from an extraterrestrial war that might just catch Earth in the crosshairs. Will she be able to do it, or will the Earth perish in the war? Coming from the Award-Winning Jordan Peele, Us may be one of the biggest horror movies of the year. Peele wrote and directed the enormously huge 2017 movie Get Out, which won one Oscar for Best Original Screenplay. Okay, it’s time to address the elephant in the room. (Pun intended.) Dumbo is the first Disney live action to be released this year, and while the other live action films to come out this year are based solely on their story, director Tim Burton takes only the titular character, and spins a new story with him. With Danny DeVito, Colin Farrell and Michael Keaton contributing as well known actors, this show looks like one sure to entertain younger viewers. DeVito stars as the owner of a struggling service. When he buys a pregnant elephant, Dumbo enters into the circus. Immediately, it is evident that Dumbo isn’t like the other animals. (If you don’t know why, shame on you.) DeVito ensures care of the elephant to his horse showman (Farrell) and his children. Soon, Dumbo becomes a sensation, and quickly catches the eye of Keaton, who is the owner of a very successful entertainment venue. This dystopian tale, directed by Rupert Wyatt (Rise of the Planet of the Apes), features Ashton Sanders (Moonlight) as the main rebeller and John Goodman (Roseanne) as a major X factor. When Earth is occupied by an alien force, there are two distinct groups of people: those who cooperate and those who resist. While the cooperative group lives in a submissive state, the resistance movement grows stronger, and with the right person, they may just be able to get things back to the way they were before. Will the resistance be able to complete their mission, or will the occupying force prevail? Also be sure to catch Where’d You Go Bernadette (Mar. 22) and Greyhound (Mar. 22). Coming off the heels of DC hits Aquaman and Wonder Woman, Shazam! looks to be another A-list movie for the unpredictably rising superhero company. For years DC has stood in the cinematic shadow of Marvel, but now seems to be holding its own quite well, and this movie could even further the reputation of DC. Starring Zachary Levi (Tangled) and Asher Angel (Disney’s Andi Mack), Shazam! tells the story of a Billy Batson (Angel) chosen by an elderly wizard to be a new superhero. Given magical powers, Batson can transform into the adult superhero, Captain Marvel. (Why DC has a Captain Marvel, we have no idea.) Batson must learn to navigate not only his newfound powers, but also his new foster family in this new DC classic. When the trailer for the faith movie Breakthrough came out, audiences took notice, and the trailer garnered over 30 million views in 48 hours, making it the most viewed faith movie trailer in that amount of time ever. The movie hosts a big name producer, with Golden State Warriors star Stephen Curry executive producing. Starring Chrissy Metz (This is Us) and Marcel Ruiz (One Day at a Time), Breakthrough tells the incredible true story of a 14-year old boy who suffered a devastating accident, and, against all odds, continued to fight for his life. John Smith (Ruiz) is a basketball player, and a very one good at that. He and his mother Joyce (Metz) and his father live in a tight knit community where everyone knows everyone. One day, John is out on a frozen lake with his friends, and the unthinkable happens—the ice breaks, and John falls through. After being under the water for nearly 15 minutes, and 30 minutes of CPR, John is pronounced dead in the hospital. But then Joyce runs in and begins praying at his bedside. To the doctors’ astonishment, John’s heart begins to beat again, and the fight is on to keep John alive. The fourth installation of the Avengers series brings back the well known cast, including Robert Downey Jr. as Tony Stark, Chris Evans as Captain America, and Scarlett Johansson as Black Widow, to name a few. Of course, Josh Brolin will also return as Thanos. After all what would they do without the main villain? The predecessor to this film set box office records, and this one is looking to go even further. After Thanos’ snap devastated the universe’s population in Avengers: Infinity War, the heroes must find a way to reunite and undo the snap. 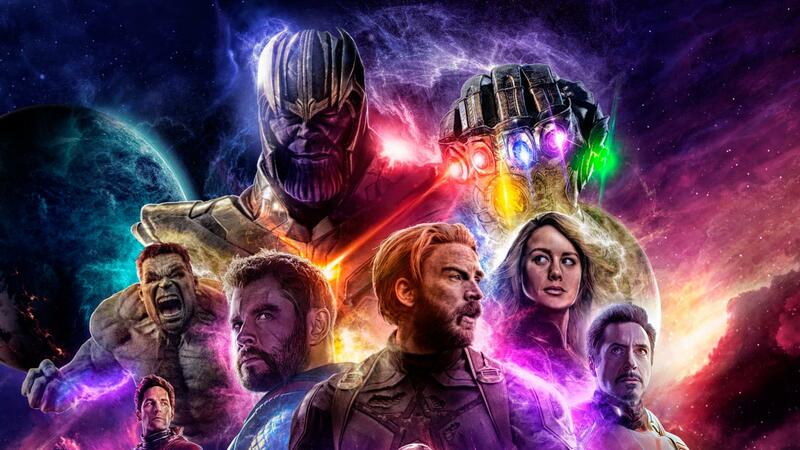 However, with Tony Stark hopelessly adrift in space while half of the others are dust (yeah, yeah, spoilers), the psychological integrity of the remaining Avengers will be tested as they try to mount a response to save countless lives in this blockbuster event. Also be sure to catch Hellboy (Apr. 12) and Missing Link (Apr. 19). From director Rob Letterman (Goosebumps) comes the latest Pokemon event. Taking place in Ryme City, Tim Goodman (Justice Smith) has given up his dream of becoming a world class Pokemon trainer and instead has focused on finding his dad. However, his plan of action changes when he discovers an amazing talent: the ability to communicate with Pokemon. 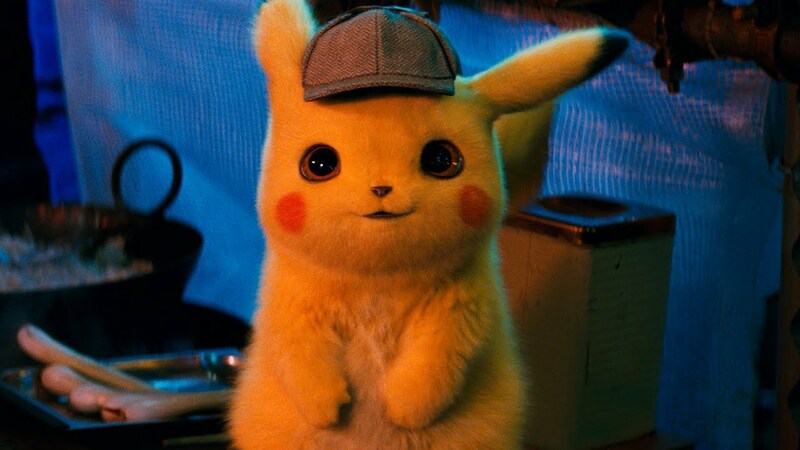 When he teams up with Pikachu, his quest for finding his father becomes a whole lot more interesting. As the second of three Disney live-action movies this year, Aladdin promises to show a whole new world to audiences with its take on the classic movie. In Aladdin, we meet the titular character, a street rat in Aragbah. Seemingly by chance, Aladdin finds a lamp containing a genie, and releases it from its capture. In doing this, Aladdin receives three wishes. However, as Aladdin soon finds out, there are evil ones who seek to use the lamp for their own benefit. Using his wits, Aladdin must rescue all of Aragbah from the threat, particularly the beautiful Princess Jasmine. The movie features Naomi Scott as Jasmine, Mena Massoud as Aladdin, and Will Smith as Genie. Smith has been touted by critics as having a job with a tall order—he is of course replacing the sadly deceased Robin Williams (Jumanji, Good Morning Vietnam), who is widely recognized in the movie, and possibly one of the most popular actors in the original movie. It will be interesting to see Smith’s take on the iconic character, but only time will tell if it can live up to Williams’ legacy. After last year’s Bohemian Rhapsody’s box office success, this biopic takes a deep look at the life of Sir Elton John, the music prodigy who brought the likes of Tiny Dancer, Bennie & The Jets, and the namesake Rocketman to life and to the forefront of our musical playlists. Played by Taron Egerton, this movie will take you through every stage of his fame, and is sure to include some great songs along the way. Also be sure to catch John Wick: Chapter 3 (May 17). As the newest film in the X-Men series, the mutants face their most powerful enemy when a fellow mutant becomes far more unstable. While operating a rescue mission in space, Jean Grey is hit by a cosmic force, nearly killing her in the process. Returning home, the mysterious force makes her not only extremely unstable, but also infinitely more powerful. With aliens coming to Earth to use Grey’s powers to take control of the universe, the X-Men must not only band together to battle them, but also to ultimately save Jean from herself. As long as you didn’t watch the flash in the first few movies, you will probably recall Will Smith manning the cast for Men in Black. However, in this extension of the original trilogy, Chris Hemsworth (Thor) and Tessa Thompson (Creed), who teamed up in Thor: Ragnarok, take over the protection duties of Earth against alien threats, both domestic and intergalactic. In the first MIB movie since May 2012, the head of MIB (Liam Neeson) pairs newbie Agent M (Tessa Thompson) and veteran Agent H (Chris Hemsworth) to investigate and neutralize a threat to Earth. However, when the threat is a mole from within MIB, trust will be tested and the abilities of both agents will be put to the test to neutralize the threat while maintaining the anonymity of the organization. The gang gets back together in the fourth flick for this movie franchise. Ever since it paved the way for animation in 1995, Toy Story and its characters have become instantly recognizable across the world, attaining a status reserved only for classics. In Toy Story 3, we saw the toys pass on in ownership from Andy to Bonnie, an event that signified the growing up of a generation. With the release of two trailers, we have already seen three new toys–Forky, a spork turned toy who is having an existential crisis with his new identity, and Bunny and Ducky, two toys from a carnival booth. The toys will take alongside old and new friends, and will show the toys how big the world really is. Woody’s love life will also be getting a reboot, with Bo Peep making a return. Pixar seems to be doing more sequels than they have in the past, and the question that is really up for debate now is whether or not that will tarnish the company’s good name. However, as the only Disney-Pixar movie being released this year, we can’t wait to see how this new movie pans out. Also be sure to catch The Secret Life of Pets 2 (June 7). Forget the kids, this movie is sure to horrify parents. Gary Dauberman, the director of the first two Annabelle films as well as It, has come up with yet another seemingly masterful work. In this horror flick, the famed Annabelle doll awakens the evil spirits in the home of paranormal scientists and their daughter. For the scream factor, it just so happens that the young daughter has a bunch of friends over as well. If you’re looking for a tense, scary movie, this is sure to hit the spot! Another Spiderman movie? That’s right. In the sequel to Spiderman: Homecoming, Tom Holland returns as the beloved, spider-bitten teen known as Peter Parker. Directed by Jon Watts, this movie will take Peter outside of his “friendly, neighborhood” comfort zone to the streets and waterways of Europe. However, while on vacation with his friends, a villain by the name of Mysterio shows up. Will Peter be able to take down the latest antagonist while maintaining his anonymity, or will his desire for the best of both worlds trump his ability to maintain either? Twenty-five years ago, audience’s hearts were captured with the heartwarming story of a cub who just couldn’t wait to be king. Now, 25 years into the future, the remake features a slew of new voices, and returns only one original voice—James Earl Jones, who plays Mufasa. With the voices of Donald Glover as Simba, Beyoncé as Nala, Chiwetel Ejiofor as Scar, Billy Eichner and Seth Rogen as Timon and Pumbaa, the film is set up to have some great voices. Directed by Jon Favreau (Iron Man), The Lion King follows Simba, the son of King Mufasa. However, Scar, Simba’s uncle, is eying the throne for himself, and the struggle for Pride Rock takes flight, eventually causing Simba’s exile. 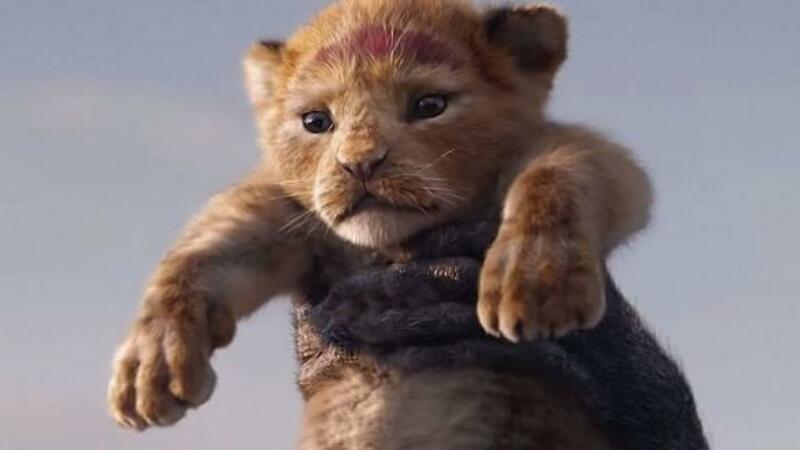 Simba must use the help of his friends and family to take back Pride Rock and restore honor back to the throne in this live-action classic movie. Also be sure to catch Once Upon a Time In Hollywood (July 26). Do you like fast cars, explosions, and intriguing plotlines? If so, then you have probably seen at least one of the Fast and Furious films. After all, there are eight of them. However, like all good movie series, the spin offs have begun. David Leitch (Deadpool 2) directs the first of which for the Fast and Furious series, which stars Dwayne “The Rock” Johnson as Luke Hobbs and Jason Statham as Deckard Shaw. This duo has a complicated history. The relationship between these two stems from a conflict in Furious 7, in which Shaw and Johnson were vehemently opposed in a high stakes battle over the “God’s Eye” program. In addition to this, Hobbs was also a part of the team in Fast & Furious 6 that put Shaw’s brother in a comatose state. This hatred was pushed to the side in The Fate of the Furious, where they had to work together. Nevertheless, these two will be forced to work together once again to take down a common enemy. Eoin Colfer’s hit book comes to screen this year, with newcomer Ferdia Shaw playing the titular role of Artemis. The movie will keep with the events of the first book of the series, in which we first meet Artemis. Artemis, a 12 year-old criminal mastermind, is descended from a long line of criminal masterminds. When Artemis discovers a secret race of underground fairies, he discovers they may be behind his father’s disappearance. Together with his bodyguard, Butler, Artemis begins a war with the underground race, one that may have unforeseen consequences on the above ground world. Terrorist attack in London? Neutralized. Seizure of the White House? The president is safe. All of this is the work of agent Mike Banning (Gerard Butler). What happens, though, when Banning is framed for the attempt on the president’s life? This action thriller will take you through Banning’s dash to clear his name and save the president before the real killer goes through with the operation. Also be sure to catch Angry Birds 2 (Aug. 16). With the instant hit of the first movie, Stephen King’s popular story is coming back, and audiences couldn’t be any happier. With James McAvoy, Jessica Chastain, Bill Hadar, James Ransone, and Isaiah Mustafa playing the adult members of the Losers Club, and Bill Skarsgård reprising his role as Pennywise, the cast looks to be a great one. Twenty seven years after the events of the first movie, the grown-up members of the Losers Club receive a devastating phone call that brings them back together. Returning back to Derry, they find that the evil clown Pennywise has awakened again, returning to torment the residents. Together, they join forces to defeat Pennywise once and for all. Who’s the most anonymous organization in the world of Hollywood? MIB. Who’s the most anonymous teenage superhero? Spiderman. Put them together and you get Spies in Disguise. 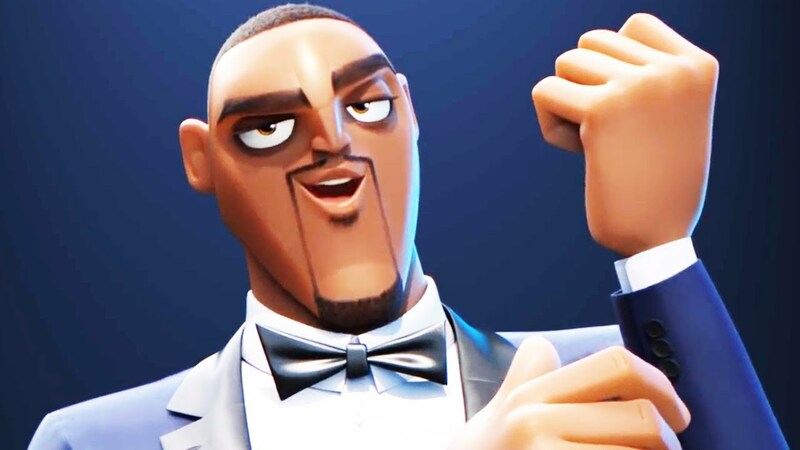 This animated spy movie pairs Will Smith (Men in Black) and Tom Holland (Spiderman: Homecoming) to create a combo that is sure to make audiences laugh. In the movie, Will Smith voices Lance Sterling, who is hands-down the best spy there is. He’s evasive and gets the job done. However, what’s less noticeable than a spy? A pigeon. Walter Beckett, voiced by Tom Holland, is a scientist who changes Sterling to the form of a pigeon. From there, the sky’s the limit. For fans of the hit TV show, this one’s for you. Picking up after the popular British television drama ended in 2015, the movie is set in the fall of 1927. Fans will see many familiar faces, with Michelle Dockery, Allen Leech, Hugh Bonneville, and Maggie Smith all reprising their roles. The film will continue the saga of the Crawley family and the servants who work for them on their estate. The story is said by the actors to be an emotional one—“It’s Julian, you’re going to have tears,” said Leech to Vanity Fair. With lots of drama, and even some romance, the hit return of the series promises to be one that fans can’t miss. We all know the classic Batman vs. Joker story. Batman good, Joker bad. We all know about Batman’s background, as the rich superhero’s goal is to protect the people of Gotham City. However, what about the Joker? This Todd Phillips film establishes the origin of the homicidal psychopath, and explains how Arthur Fleck went from a stand-up comedian to Gotham City’s greatest threat. The ghoulish family comes to the big screen right in the middle of Halloween season, only this time animated. With MGM producing, the family movie boasts the talented voices of Oscar Isaac as Gomez Addams, Charlize Theron as Morticia Addams, Chloë Grace Moretz as Wednesday Addams, and Nick Kroll as Uncle Fester. The Addams Family gained popularity as a T.V. show in the late ’60s, and was adapted into a live-action movie in the early ’90s. With the production of this new movie, the Addams Family may gain a new generation of fans. After a long wait, the reimagining of our childhood comes to life in a way we never knew we wanted to see. 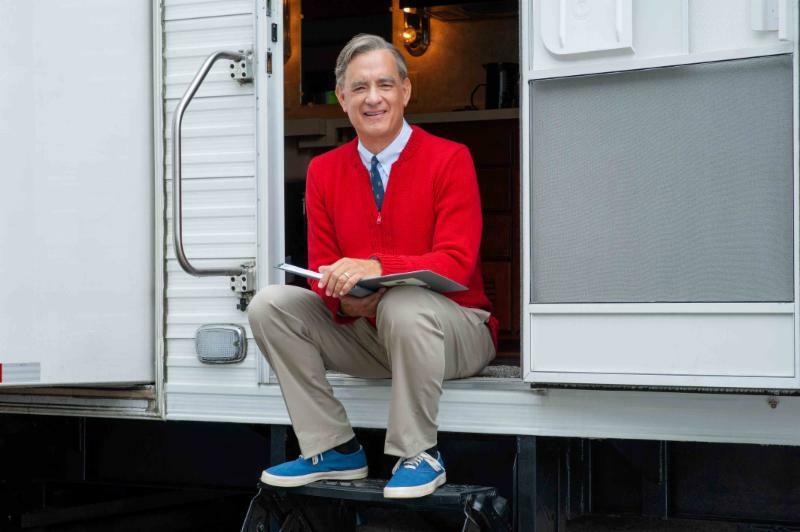 Tom Hanks (one of America’s national treasures) plays Mr. Rogers in the new biopic. After Rogers’ death in 2003, his television program went on to become one of the most well remembered programs that kids watched while growing up. Many remember taking trips on the Trolley to The Land of Make-Believe, and explore Mr. Rogers’ beautiful neighborhood. The movie shows the true story of Rogers’ friendship with a cynical journalist. Rogers goes on to show him empathy, kindness and decency. In this crazy world we’re living in right now, a bit of Mr. Rogers certainly might make us see everyone as our neighbor. Also be sure to catch Zombieland 2 (Oct. 11). This historical drama zones in on Midway, arguably the most important battle in the Pacific against the Japanese during World War II. This cast is chock-full of talent, as Nick Jonas (Jumanji: Welcome to the Jungle), Mandy Moore (This Is Us) and Woody Harrelson (The Hunger Games) all have large roles in this war movie. Told by true veterans of the war, this is sure to shed new light on the battle that led to an Ally victory in the Pacific. Move over, MI6. As we have gathered from the first two movies, Kingman is the English spy agency that we can rely on, even if they test our trust almost the entire time. Matthew Vaughn returns to direct and Taron Egerton returns as Eggsy in this action trilogy. The follow up to Kingsman: The Golden Circle is centered around the collapse of the Kingsman secret service, as it is destroyed and only select, moral individuals will remain in the fight against Dr. Kolinka. Between the power disadvantage and Dr. Kolinka’s scientific knowledge that keeps him on the cutting edge, will the Kingman put an end to Dr. Kolinka’s plan, or will they be truly destroyed? For the first time in forever, fans are finally getting what they’ve always asked for—Frozen 2. Surely being the most anticipated Disney movie of the year, fans will again meet up with Elsa, Anna, Olaf, and Kristoff. With voice recording beginning in March, we can probably expect a trailer sometime in the summer. So far, all we know is that Anna, Elsa, Olaf, and Kristoff will be venturing out of Arendelle into the forest to discover the truth about an ancient mystery of their kingdom. Not much else is known, but ever since the release of the first movie, fans have been calling for Elsa to get a girlfriend. Disney hasn’t released any indication to whether this will be happening or not, but could be entirely possible, with director Jennifer Lee saying that many conversations have been had about this topic. 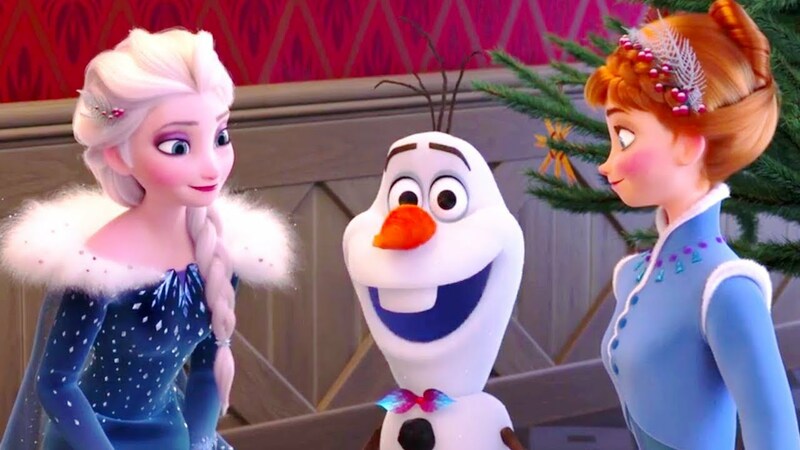 Besides the wonderful Idina Menzel, Kristen Bell, and Josh Gad reprising their roles, Frozen 2 will see some new faces, with Sterling K. Brown (This is Us) already cast to be in the movie. Also be sure to catch Terminator 6 (Nov. 1). The sequel to Jumanji: Welcome to the Jungle returns the core cast, which consisted of Dwayne Johnson (Fast & Furious 6), Kevin Hart (Central Intelligence), Jack Black (The Holiday) and Karen Gillan (Guardians of the Galaxy). The film will also as pop culture icon Danny Devito. In the newest film, it will be interesting to see how Jumanji makes its way back onto the scene. In the original film, it was a board game. In Jumanji: Welcome to the Jungle, it shifted into the form of a video game. However, it was smashed at the end of the film, leaving us to wonder how it will work back into their lives. Nevertheless, this cast is sure to deliver a piece of comedy gold as well as deliver a compelling storyline. Calling all children of the ‘80s! Chances are, if you grew up in this rockin’ time period, you had heard of Mattel’s He-Man action figure. The toy sensation inspired an animated T.V. show that went on for two seasons, and inspired a 1987 movie reboot. He-Man quickly died down, but came back into modern times in the form of a meme. As of right now, Sony hasn’t released any plot or actor details, but it’s safe to say we’ll see He-Man fight against his old foe, Skeletor. 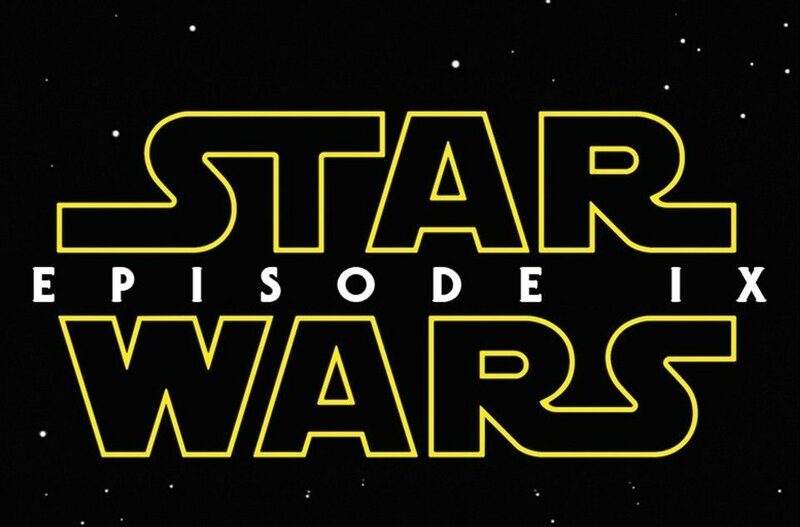 In one of the most beloved movie sagas around the world, Lucasfilm caps off J.J. Abrams trilogy with what will surely be a great end to a great trilogy. Returning to the galaxy, “far, far away,” we’ll see Daisy Ridley returning as Rey, John Boyega as Finn, Oscar Isaac as Poe Dameron, and Adam Driver as Kylo Ren. We’ll also see the return of General Leia, though with Carrie Fisher passed away, we’ll have to see how that one plays out. So far, the studio hasn’t released even a title for the ninth episode, let alone a trailer or a plot. From where Star Wars: The Last Jedi left off, it will be interesting to see how the Resistance combats the First Orders attacks, and how they’ll survive after nearly being destroyed. (Yes, spoiler alert, we know. But if you haven’t seen it by now, are you really even a Star Wars fan?) We’re also excited to see how the dynamic between Rey and Kylo Ren will play out. Whatever the story is, fans will be sure to line up at theaters as soon as December rolls around. Also be sure to catch Super Intelligence (Dec. 25).